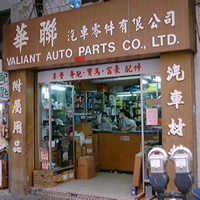 Valiant Auto Parts Co. Ltd. was established in 1968 engaged in the importing, retailing, and distribution of automotive spare parts in Hong Kong. The company was initially registered as a proprietary partnership company. In order to be more efficient and effective in the management of the growing business, the company was incorporated in 1991. Besides selling to the Hong Kong market, there are an increasing number of customers coming from China, mostly contributed by our good stocks, good prices and good services - our 3G business philosophy. We supply all kinds of automotive spare parts for German and Swedish cars namely Mercedes Benz, BMW, Volkswagen, Audi, Volvo, and SAAB with extensive stocks for Mercedes Benz, BMW, and Volvo. We buy directly from the European manufacturers in which many of them are the original equipment manufacturers (OEM) to the car makers, thus the quality is guaranteed. Because of the direct purchase nature, we have maintained a very good price factor and logistic control. 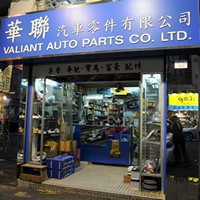 Combined with a total of 20,000 square feet warehouse facility, Valiant has established itself as a key distributor of automotive spare parts in the Hong Kong and China markets. 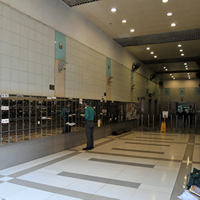 A total of 20,000 square feet warehouse facility at Mongkok, Kowloon Bay, and Kwai Chung.